Bakeries abound in the bustling foodie city of Portland, Maine, sending tempting sweet and savory smells out into the street air to mingle with pedestrians and lure them in. 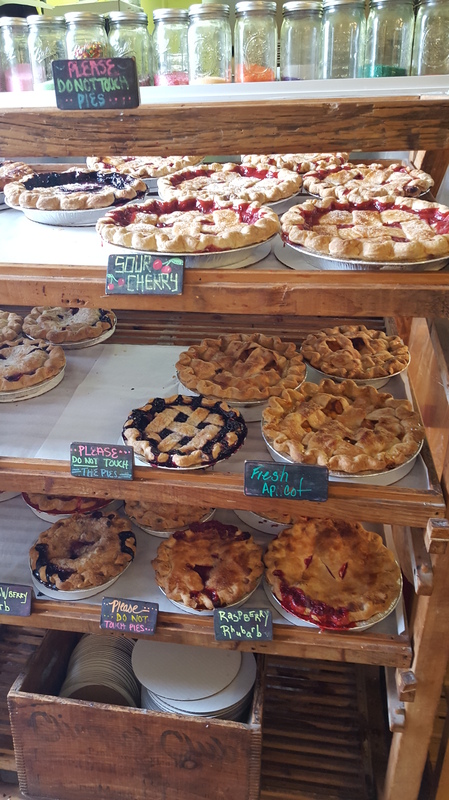 I’ve had the very good fortune to visit a few of them recently, including Bam Bam Bakery, Holy Donut, and Big Sky Bread Company, while others include Rosemont Market, Foley’s Cakes, and more. While I found Bam Bam’s treats delightful, and Big Sky warm and welcoming with a gratifying approachability, my visit to Two Fat Cats just the other day was completely charming. We ducked in briefly to wrangle some pastries and desserts for a brunch at my aunt’s home, but the few minutes we spent inside (not to mention the treats we enjoyed later) were sufficient to win me over. The space inside for customers is small, as if to say, “our focus is baking, after all,” and I found this very appealing. This isn’t a place you go to take advantage of free wifi – it’s a place you go for excellent baked goods. I specifically chose two blueberry scones because they looked so good, but I’ll be honest, I was prepared for disappointment. I’ve been excited about scones far too frequently only to be let down by dry, crumbling, flavorless bites. I am so happy to report that Two Fat Cats’ scones are an outstanding exception. Hands down, this is the best scone I’ve ever eaten. Just moist enough, with a little drizzle of icing, it was spectacular. Between the atmosphere and the product, I was and am completely sold on this bakery. While I can’t speak for the other goodies personally, I can say the frosted sugar cookies were a big hit with my kiddie cousins, and my aunt couldn’t keep herself away from the peanut butter cookies, so I’d rank it a success all around. If you are in the greater Portland area, this is a must-visit for any bakery needs! 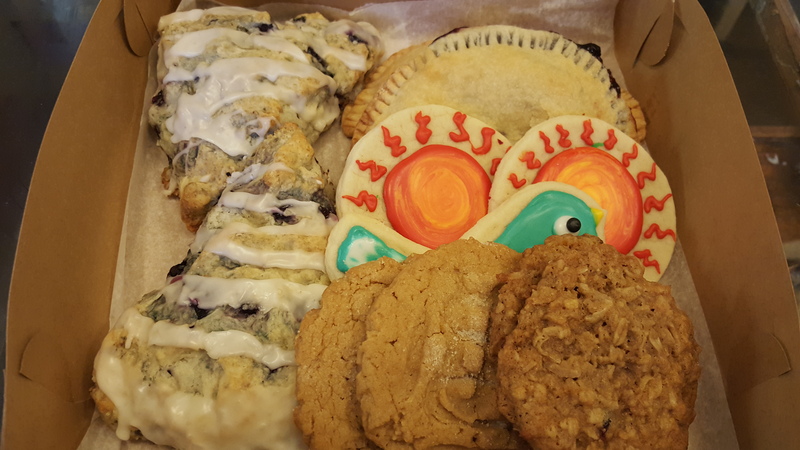 Categories: Eat, Shop | Tags: baked goods, cookies, Maine, pastries, pies, Portland, Two Fat Cats Bakery | Permalink.